I have had a fantastic career and a lifetime of rock and roll; I’ve enjoyed every single minute. To receive a Lifetime Achievement Award in my hometown is a real honour. Trevor is an incredible blues guitar player. After The Move he pursued his love of blues and played alongside Jimi Hendrix and many other great stars. We are all delighted he has been given the highest of accolades from Birmingham Music Awards. No-one is more deserving. What a legacy Trevor has forged. He has honoured the city by creating it’s first major supergroup in the 60s, his career has been the stuff of dreams and he just keeps on giving. He’s still a major influence on the rock and roll scene and an inspiration for musicians today. I have no doubt he will continue to be long into the future too. The Birmingham Music Awards is an annual search for Birmingham’s brightest and best musicians/music industry professionals. Entrants from across the region have been busy submitting their work in several different categories including Best Song, Best Album, Best Band, Best Live Venue, Rising Star, Best Radio Station and Best Promoter. 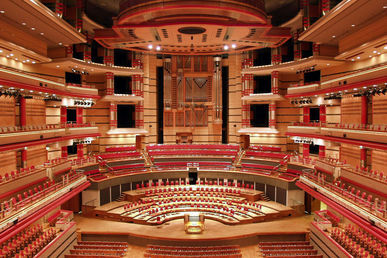 Town Hall Symphony Hall are shortlisted in two categories for this year's Birmingham Music Awards (BMAs).